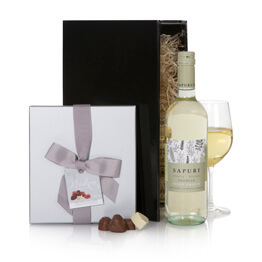 Find more gift ideas in our extensive hampers for her range. 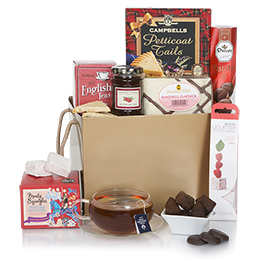 A delicious selection of sweet treats - chocolate truffles, flapjack, shortbread, honeycomb & raspberry jam, partnered with English breakfast tea. Make her day with this delightful food gift presented in a cute gift bag! 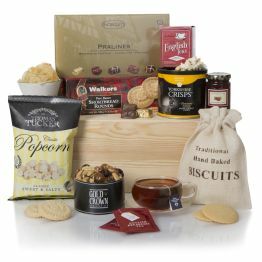 This best selling hamper is ideal for all occasions! 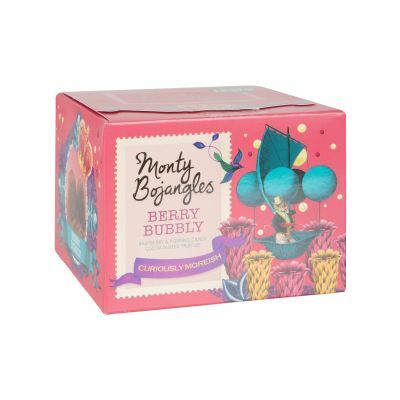 Monty Bojangles Berry Bubbly Raspberry... Bite sized squares of smooth dark chocolate, filled with a creamy raspberry filling. This hamper was for my sister's 88th birthday and she wrote telling me that she was delighted with the contents. Thank you. Recipient very pleased with contents. Delivery was prompt and efficient. 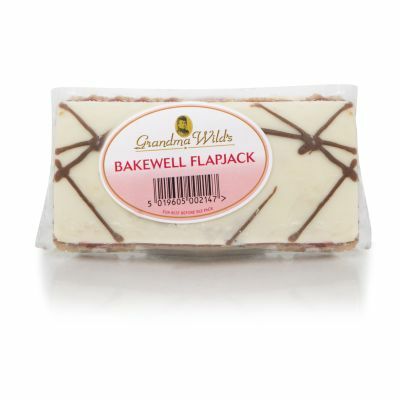 Mum loved it... full of chocolate naughtiness! Fantastic! 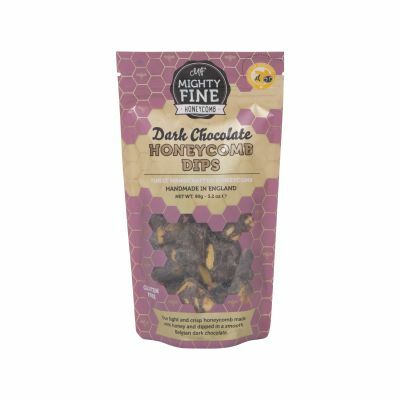 A lovely Mothers Day Gift with tasty chocolates and a nice little bag. It was for my mum and she absolutely loved it. There was a great selection of goodies and beautifully presented. Gift for mum on Mother's day - She was very happy, said the "choccies were lush" - Would recommend! Delivered on time but not e mailed as arrived until 2 days afterwards! Just going from previous orders and not yet in receipt of the latest delivery information or feedback. Please accept as good. I bought this for a friend and she enjoyed her treats, the only downfall was the message note, it could’ve been better so I had to improvise and created my own. 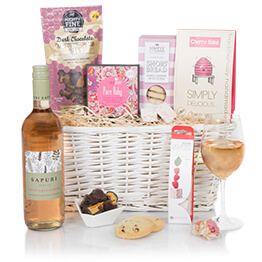 I bought this hamper as a gift for a very dear friend who has just had an operation and cannot get out at the moment, so I wanted to cheer her up. She was over the moon with it and has enjoyed every bit. 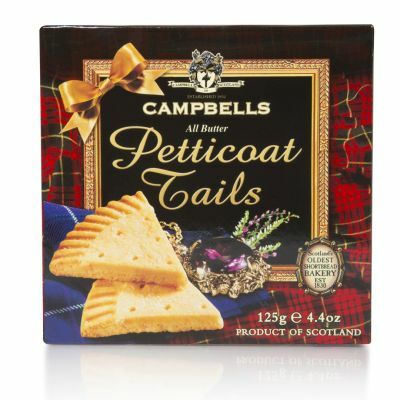 Excellent tea and biscuits loved by my mam and dad. Very god communication and quick delivery. A lovely selection of treats, presented in a useful little bag. Delivered on time & well received by my friend. A great way to send a 'thinking of you' message. I sent this hamper to my blind sister in Cornwall, I live in Australia. It was delivered on her birthday and she was delighted with the contents. I will use this service in future because it means I can put the money into the gift without worrying about postage. Hamper for my mum's 80th birthday. Delivered on time and well received. A gift for my husbands sister. Although we did not see it, we had a very excited and happy report that the hamper was brilliant. It was an ideal way of sending a present to someone who has everything and lives quite a few miles away. Will definitely keep in mind for another time we need to send a present. It did what it said on the can. Very pleased with from ordering to delivery. Given as a gift the hamper was delivered just in time for Xmas as promised. Fantastic Hamper, bought for my mother for Christmas! Arrived promptly and was reportedly in good condition. The 'giftee' truly enjoyed their gift. These were for a surprise thank you and the recipient was very pleased indeed. my friend was very happy with her gift. This is the 4th hamper i have sent and will be sending lots more. written by a very happy customer. the choice is amazing. 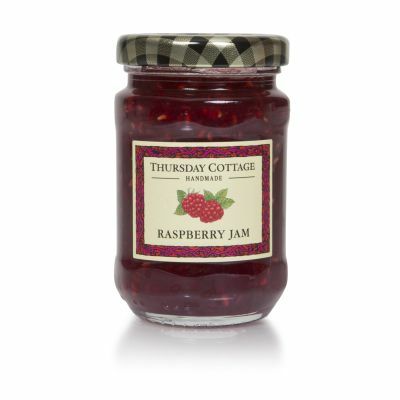 My Mother and Mother-in-law were both delighted with the hampers we ordered online from Canada. Good service and great products. Thanks! This was a treat for 'Mothers Day'. Apparently it is a lovely bag of goodies which she wouldn't normally buy herself. 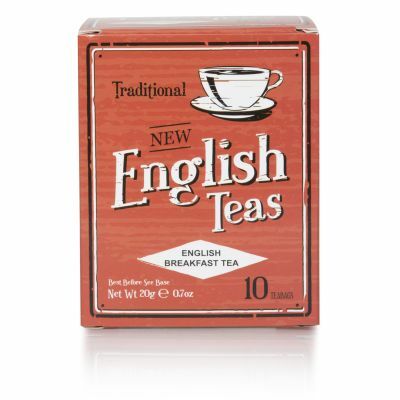 Fruit cake, chocolates and English breakfast tea which she was delighted with as she was looking for a new variety of tea and was pleased with this new one. Mum is 95 years of age so it had to be pretty special to please her. Nice hamper, quickly delivered, no disappointment!!! This was wonderful, great value. I sent this hamper to my daughter who is studying at uni in London as a little welcome surprise from home -New York. She was thrilled. It was delivered very promptly to her dormitory right on campus and the treats were of very good quality. I will definitively order from here again! Just ordered a birthday hamper for her! Thank you! Had this Hamper delivered to my friend in Essex. It arrived on the day I had asked, and my friend was so delighted she phoned me immediately. Thanks to all involved. I ordered 8 hampers of varying types. Without exception, they arrived on time and each recipient was delighted with their gift. Will definitely be using your services in future! Well done. Very lovely little gift for my mother-in-law. She loved all the treats inside! 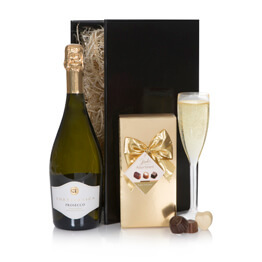 I ordered this for a friend for her birthday, I had a call to say how lovely the hamper was, very unexpected, and had some really lovely goodies inside. 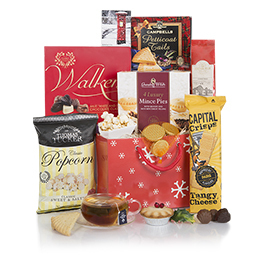 I am so pleased I got this for her, I looked at other hampers, but nothing compared to this one, it was excellent for, quality, packaging, value for money but most of all it was a lovely present. I will definitely buy from you again. Thank you. Easiest way to shop for someone far away! Lots of variety available, although I miss the all Canadian hamper, to send a little taste of Canada to Great Britain. Great idea for older folks is the fill it yourself hamper, using the little one serving cans and jars, so they are able to use the items without wasting any. My daughter was delighted to receive this on her birthday as she lives a long way from us and it was not possible forums to be together for a tea party. An excellent Birthday present idea for a friend who lives over 200 miles away. Good value for money. She was very pleased with the gift and her husband enjoyed it too! Brought as a birthday gift for my best friend. It was beautifully presented, she loved it, something different. Great delivery service, kept me informed when it be dispatched. Will definitely buy here again. Didn't actually see the hamper as it was ordered for delivery to someone else but she was absolutely thrilled with it. I felt the price was reasonable too & very happy that it could be delivered the next day at no extra cost. Superb value for money. 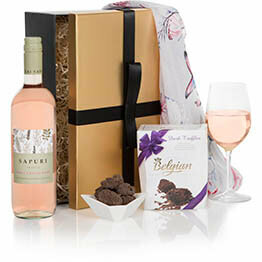 Products in the hamper were of a superior quality and unusual enough to make this a great surprise for the person it was passed onto as a birthday treat. Would happily buy again. Sent this for my Mum's birthday, she loved everything in the hamper and the jute bag. A good selection of treats. Excellent quality, good range within hamper, very well presented and very good value for money. Incredibly easy way to brighten up someone's day. Highly recommended. I can only go by the happiness of my mother in law, she was delighted with the hamper we sent for mother's day. She said the fruitcake was delicious. Bought this hamper for my sister who lives too far away for me to deliver it personally. She was thrilled to receive it and all the little treats inside. Much nicer than flowers. 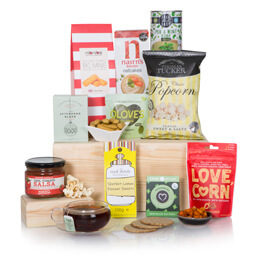 I haven't ordered a hamper before but would definately use this company again. 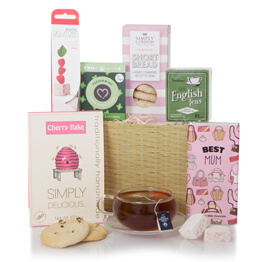 A fine assortment of tasty tea time treats that are of good quality. Bought for a friend via clear water hampers, she was extremely please with the hamper and said she loved everything in it. I was informed when the delivery took place and who it was delivered to as well. Great gift.